Free things to do in Cairns for travellers wanting to save money! Free things to do in Cairns for travellers! If you just arrived in Australia, bet you are shocked about the high prices for food and accommodation. ‘What is left for all the fun things to do’, you are asking? Don’t worry, we got you covered! Travelwheels Campervans came up with a list of free things to do in Cairns. 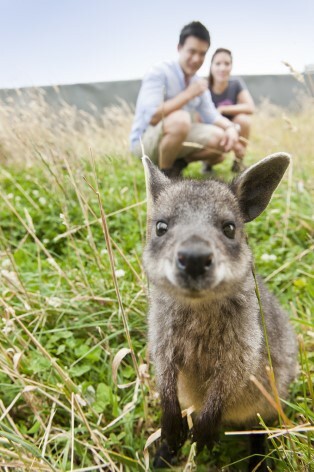 We love free things to do in Cairns! Do you? Cairns is located right at the coast to the pacific ocean, though it has no proper beach. This is why they came up with this fantastic idea and built a tropical lagoon right next to the esplanade of Cairns. Having a 99% chance of awesome weather, you can make sure to put your day to good use relaxing on a beautiful sand beach covered by palm trees. Fun for all and sundry! If this doesn’t sound like a good plan, then other Free things to do in Cairns which are worth investigating are checking out the mellow green area covered by a great canopy. There is a sandbox for children and a BBQ area to prepare a feast! Definitely time to ‘put a shrimp on the barbie!’. 😉 TIP: If you travel in a campervan you can also make use of the free toilet and shower facilities they offer. Grilling is a way of life in Australia! 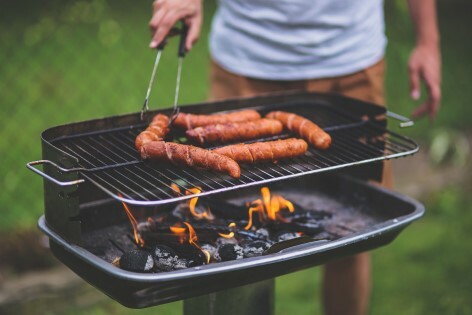 The Australian BBQ is a huge tradition and they love it. You can find plenty of free gas operated BBQ areas along the Esplanade. So if you are not invited to a typical Aussie barbie, arrange your own spectacular cookout with all your new friends you met in Cairns! This is going to be so much fun! You don’t know Australia if you haven’t had a BBQ! 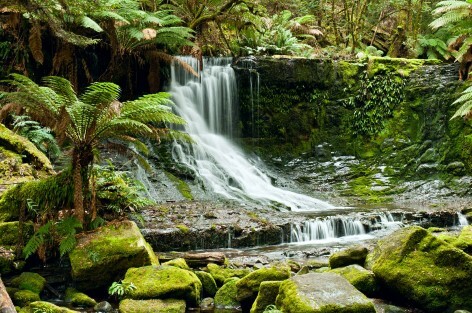 The Crystal Cascades are a secret recreation spot of many locals that live in the area. 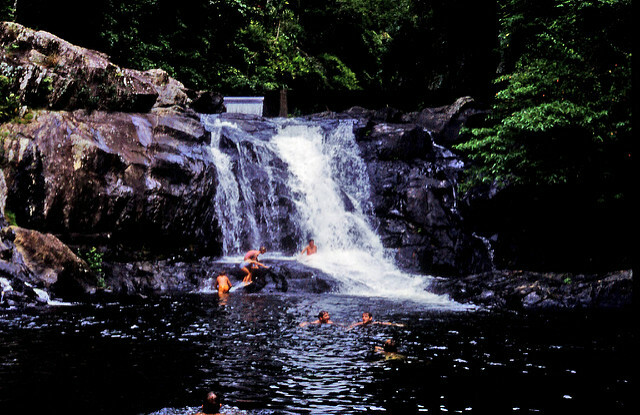 This enchanted paradise is just a 20 minute drive with your Travelwheels Campervan from Cairns. Arrived at this place you can follow a designated hiking trail along multiple waterfalls and fresh water pools, surrounded by an impressive granite rock face. The waters are absolute clear and calm which makes it easy for kids to take a dip in the water, too. In the warmer summer month Crystal Cascades is a welcome spot to locals and travellers alike, to find some relief from the suns heat. Feel free to use provided amenities like bbq areas, picnic tables, changing rooms and toilets. Enjoy a wonderful afternoon at the Botanic Gardens in Cairns and take in the smells and sounds of this enchanted tropical atmosphere. 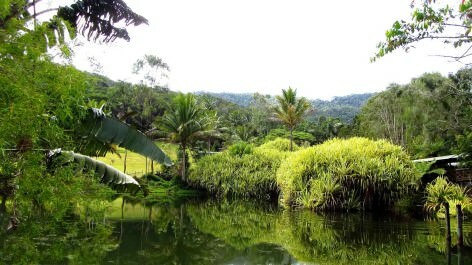 The Cairns Botanic Gardens are renowned for having one of the best tropical plant exhibitions in Australia. Plan in a whole day as there are many things to discover and trails to be hiked. The Aboriginal Plant Garden, the Bamboo Collection, the Rainforest Broadwalk, Mt Whitfield Conservation Park, the Mangrove Boardwalk – These are just a few of the amazing places that await you. The Visitor Centre can provide you with Self Guided Walk brochures for several of the main gardens, however, you can also join a free guided tour every day at 10 AM. The Botanic Gardens are north of Cairns and only a 4 kilometer drive with your comfortable Travelwheels camper. The Gardens are open from 7.30am to 5.30pm every day of the year and entry is free. 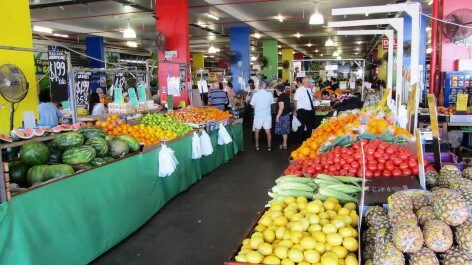 Cairns is popular for its many different farmer markets and free festivals. 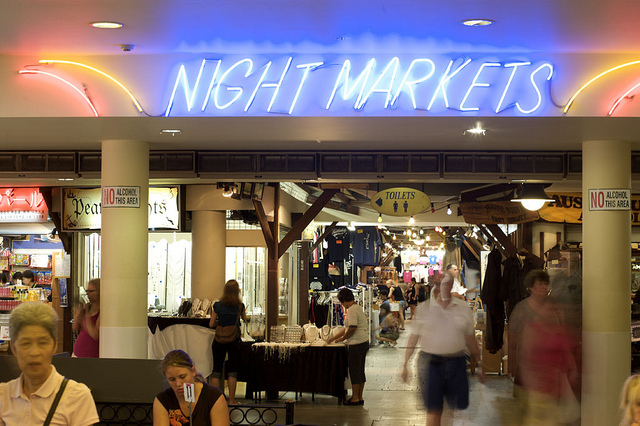 One of the most famous markets are the “Night Markets in Cairns”, with over 70 different stalls and shops they will certainly impress you. You can find anything from a nice cold beer to cheap food and extravagant souvenirs. Another great thing about this market is that it is open 365 days a year! Free night markets Cairns – open 365 days a year! Rusty Market in Cairns is another famous place to get your food supplies. Find cheap food deals to fill up your campervan fridge and be dazzled by the smell of 101 spices. There is nothing more beautiful than a fascinating sunset at the Marina. 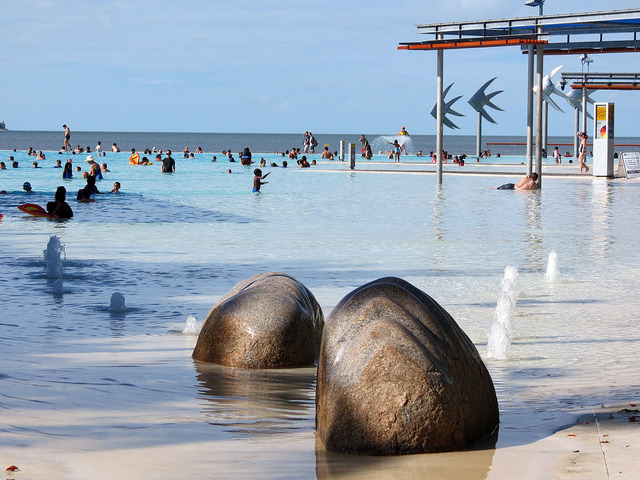 This is another highlight on our list of free things to do in Cairns. Witness the change of colour behind the mountains whilst all fishermen and dive cruises return to shore. This priceless spectacle starts at about 5pm. Sunsets in Queensland – A memory that stays forever! These are our top free things to do in Cairns. 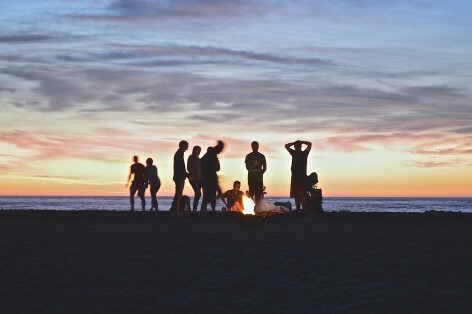 If you need help planning your campervan holiday in Cairns or simply some advise on what great activities you can do in Cairns and the surrounding area, feel free to drop us a line at [email protected] or call us on 0412766616. We are looking forward to hearing from you! 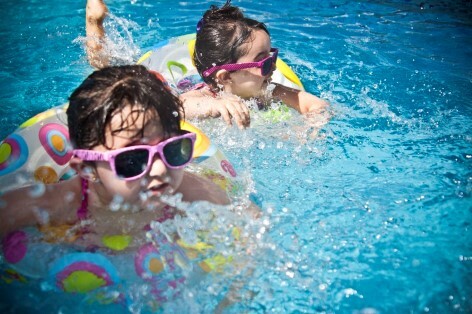 Top 10 activities in Cairns – Check out what you can only do in Cairns as Travelwheels has collected the most fun activities in Cairns! 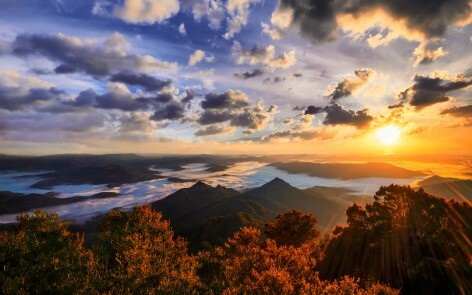 Australia – Plan your once-in-a-lifetime adventure!